The most heat-tolerant Dianthus you can grow and sell! Dianthus ‘Jolt’ is available in two colours – Pink and Cherry and is a season-long performer. 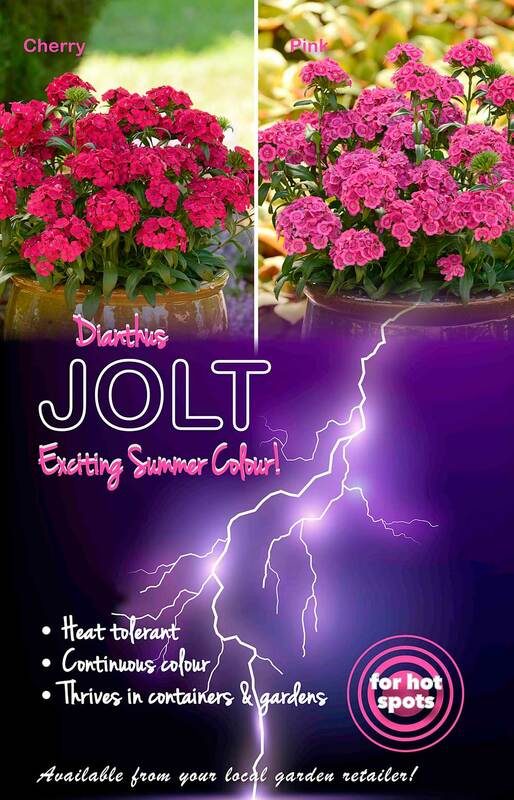 Highly durable ‘Jolt’ stands up to hot, summer conditions and continues to flower without setting seed. The well-branched plants are easy to grow and perfect in landscapes, containers or home garden beds with an extensive flowering season from spring through to autumn. Dianthus ‘Jolt’ is available at all good garden centres.